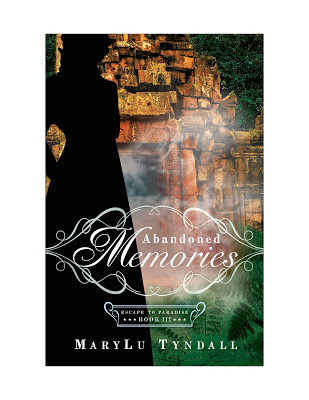 Cross and Cutlass: MaryLu's Musings - Peek at the making of the cover of Abandoned Memories! 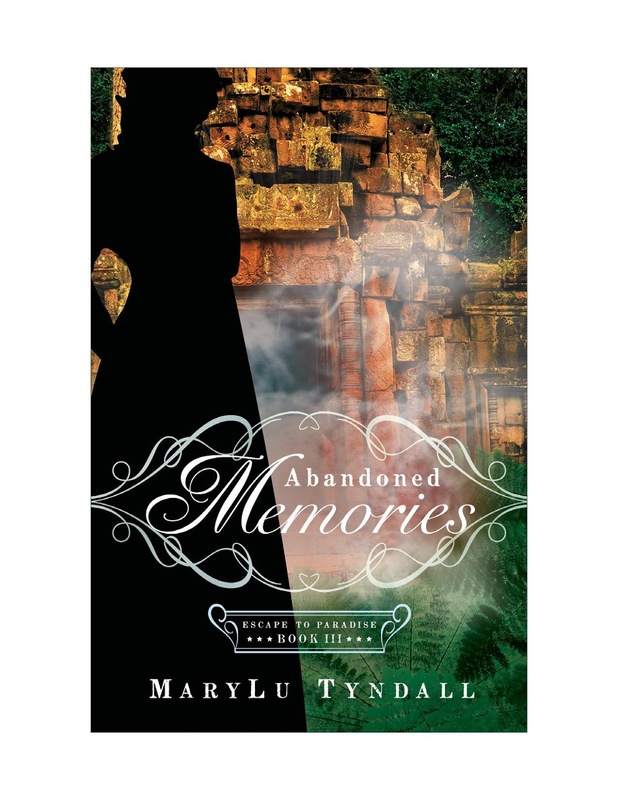 MaryLu's Musings - Peek at the making of the cover of Abandoned Memories! First things first, the winner of last weeks drawing for Michelle Griep's new release, A Heart Deceived is!!!!....... Salyna!!!!! Congrats to Salyna! And thanks to all who entered. The winner was chosen by Random.Org. It's always exciting to get the first peek at a cover for one of my books. For some reason, I LOVE covers. I think they can make or break a book. Even a good book that has a bad cover won't sell as many copies. Also the cover must give an immediate impression of the story. Is it romantic, suspenseful, adventurous? Is it mysterious, supernatural? Is the mood dark or light? Happy or sad? Are your eyes drawn into the scene portrayed on the cover? I have to say I'm extremely pleased with the covers for my Escape to Paradise series. 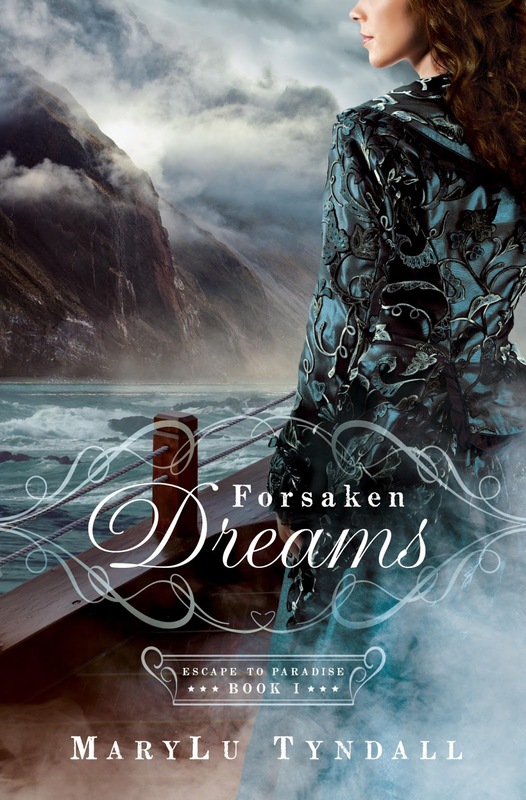 The first one you've seen already is the cover for Forsaken Dreams, released this past March. The second one is for the next book in the series, Elusive Hope, releasing in November. Aren't they gorgeous? What sort of mood do they invoke for you? My publisher sent me three "comps" . These are just general backgrounds with the space for a model to be added later blacked out for placement. Here's the back cover blurb for the story. Something sinister lurks among the lush Brazilian jungle. . . It is 1866 and the fledgling Confederate colony of New Hope is Angeline Moore’s last chance at a normal life. Running from the law, she longs to make a fresh start in this new Southern Utopia. But a series of disasters strike, threatening to destroy everything the colonists have worked for, while strange visions threaten to reveal the truth of a past Angeline is desperate to hide. James Callaway failed at both doctoring and preaching, but he hopes that his move to Brazil will give him another chance to become the spiritual leader he so desires. He longs to create a world free from the immorality that plagued every street corner back home and ruined his life. And Angeline is just the sort of chaste woman he needs to keep him on the right track. But something is amiss in New Hope: haunting visions, the discovery of crypts beneath an ancient temple, and an archaic Hebrew book, set the colonists’ fears on edge. When one of their own is found murdered, a series of disasters strike that lead them to believe they have been selected by God and brought to Brazil in order to defeat an evil that if unleashed could destroy the world. Here are the three "comps"
So, what do you think?? Guess which one I chose as my favorite?? 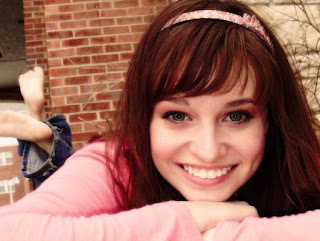 At only twenty years old, Angeline has endured enough horror and heartache to fill a lifetime. When her father was murdered, she was sent to live with an abusive uncle but was soon forced out onto the streets. Starving and cold, she trusted a woman who took her under her care, only to discover that she’d been thrust into a life of unimaginable disgrace. Running from the law for another crime, Angeline joins Colonel Wallace’s expedition to Brazil, hoping to hide her past and start a new life. And maybe even become a lady again. Angeline is petite with russet hair and violet eyes, petite with feminine curves. Here's the model they sent. All three are of the same girl, just different poses. So what do you think? A good fit or not? She will have her face turned away for the most part. So, now I wait to see the finished product! I'll pass it along to you when I get it. Eeehhhgads -- here we are nearly at the end of yet another month ! First off -- "Congratulations, Salyna" ! Enjoy Michelle's book. Re - the cover of "Forsaken Dreams" -- it invokes -- mystery, intrigue, drama, adventure, sailing into the 'unknown', etc. The cover alone (even "if" I didn't know you as the Author, MaryLu) would entice me to read the book. 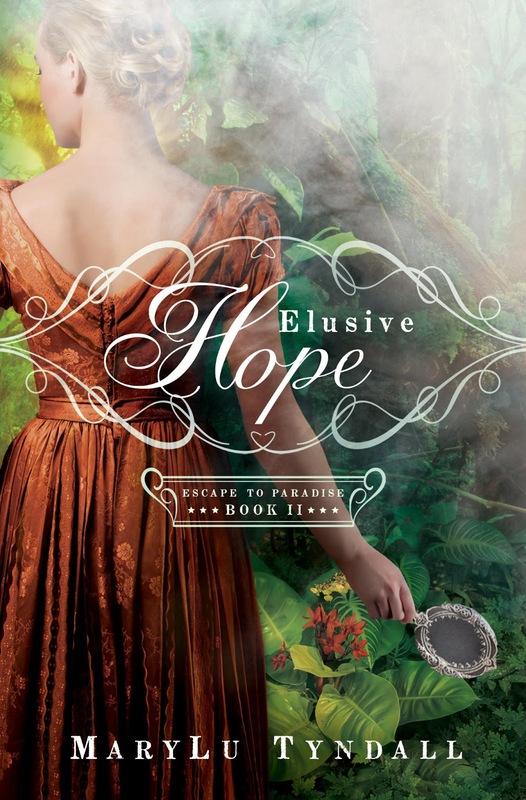 Re - the cover for "Elusive Hope" -- it invokes -- yet again, more mystery, intrigue, drama, adventure, danger, etc. Beautiful cover, and I am drawn in instantly. Re - the cover for "Abandoned Memories" -- althought they are all lovely, the one that captures my interest above all, is Comp # 1 -- with the intriguing sky, the myriad of colours in the water, the ship, and the lady looking over toward it all. LOVE this shot ! It invokes -- "again" -- mystery, intrigue, drama, adventure, drama, and a sense of some loss at "saying good-bye to a life past, in America". My guess, is that 'you' would also choose Comp # 1 ... am I right ? I'm struggling a bit with the model they chose for the cover, though. 'Maybe', it is just the shots of her - because she is appearing a tad too modern, to fit into the scene (so I'm having a difficult time of "trying" to imagine her). However, I will totally trust your judgement, and the Publisher's ... knowing that it will all work out in the end. Thanks SO much for sharing all of this with us ! Exciting for sure ! Monday, July 1st is our "Canada Day" celebrations. Out of the three choices, I think that Comp 1 is probably the best option. It just seems to fit with the other two books. Comp 2 is interesting as well but I think Comp 1 would be my choice. I think she looks a little too perky for the discription of the charater. She's cute, just not the fit I would think of. I love all the covers, but maybe comp 3 as a cover. I've never been to Brazil, though, so not sure which is best. They make me think of 'The Jungle Boy'. Love the exotic style, though. I have to go with #1 since this seems to go with the story so far. Not sure about the cover pic for the girl since we won't see her face. Would like to see a full shot of her. I'm sure like the rest of your covers it will be great when it's finished. Looking forward to the rest of this story. Cover #1, the model looks cute and very innocent. She looks like nothing bad has ever happened to her. Have a great day! Now I'm pumped for these next 2 books in the series even more! Yippee! Forsaken Dreams - dark, mysterious, unsettling. 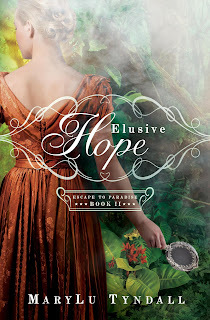 Elusive Hope - simmering, dense, trapped. I think you chose Comp #1 for your next book cover and I hope you did because it's my favorite. The model seems to fit all the physical characteristics you described and it will be interesting to see how the photo shoot turns out. I like comp1. It automatically makes me think of being on a trip/adventure, and it also looks mysterious which I like. It makes me curious. If I saw that in a bookstore I would be interested just by the cover instantly. I think the Model is very pretty. Of course I don't think she should be smiling on the cover if we are to see any of her face. As long as she's not smiling, I think she would be a great Model for the cover. She fits the description to me. All she needs is the dress, the right hairstyle, and the right pose to pull it off. I can't wait to see the finished product. What fun to get a sneak peek! I'm sure #1 is your favorite, it is also my favorite. But I do like #2 as well. I don't know if it is possible, but I would recommend that the image size of the model would be more similar to the proportion of the first two books. I know it will be beautiful. The model is cute, but I know she will be completely transformed for the photo shoot. Can't wait to see the final product! I actually like all three. If it was up to me I would go with three. Simply because book one already has the ocean view and cliff on it, and book two is very green with all that jungle. I like number two a lot, but it to has a lot of that vivid green on it! Three is lovely and it has a slightly different look to it, but enough that it look like a cohesive set! I would not be surprised if you picked one though, because of the ship in the background! I like the model! 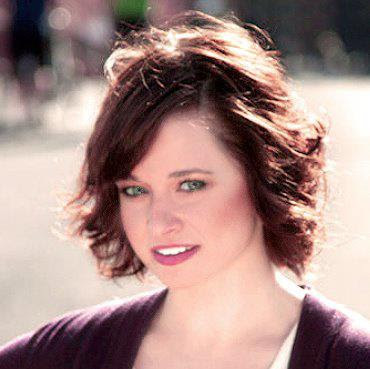 She has a lovely, youthful look to her, and a very sweet face. I love talking book covers! Thanks for sharing! I cannot wait to see the finished product! And I am intrigued by the story! I haven’t read book one yet though, so I think I should start there! Hehe! I Love #1 for the colors, the ship, the water. However the other two evoke Brazilian jungle more. I am feeling frustration for so many books to read and so much writing to do! I feel the same way, Debra! I can't get to all the books I want to read because I'm too busy writing.. ! Yikes. I Like number 1 the colors, mood and the ship in the water! I like comp 1 because I automatically thing enigmatic, mysterious, forbidden, beautiful, magical. Angelina is gorgeous! I love her nose. Congratulations on this next novel! Keep those hands and that mind busy writing because I can't get enough! I really look forward to hearing more from you through this blog and interacting. It's so homey and comfortable here. Thanks everyone! I'm loving the moods you are describing you get from the covers.. mysterious, magical, forbidden, adventure, intrigue. Perfect! My publisher says these are her favorite covers for any series she's seen. I feel very blessed. Abandoned Memories doesn't release until July 2014.. a year from now. Wow, that seems a long time away, doesn't it? But book 2 comes out in 4 months.. I'm still thinking about which comp I like the best. They are all perfect. I think comp#1 also. The model is very cute. Thanks for sharing this with us. The book sounds very interesting. These are great! I've really liked the look of your series, and I have to say, I'm in favor of comp 1. And she'll be a great cover model! I especially love that third shot of her; I think it will be a great book to close the series with, and I cannot wait to read it! Congrats, MaryLu! Mystery! Exotic locales! The dress in Forsaken Dreams has me enraptured. The intricate detail. But what I love about all these covers is how they show just enough of the character without showing too much. I like to have a broad outline given to me from the author, with a little left for me to fill in the details. I never like when the cover shows complete faces. Sometimes they just don't seem to fit my imaginative renderings. These are perfect! I can't wait to read this series. I like Comp1 the best as a cover for your new book. I too like comp 1, anxiously waiting the new books!!! I can't stand the ancient temple comps, so I would just have to block it out of my mind if it is chosen. Comp #1 is hauntingly beautiful and seems to be a great fit for the series, MaryLu. Cover artwork is powerful, as this is often what draws readers to a book, or pushes them away! It's fun seeing all that goes into the finished design, so thank you for sharing, MaryLu.